I’m Ify Onwualu, a half Nigerian and Jamaican entrepreneur, blogger and humanitarian currently living in New York City. 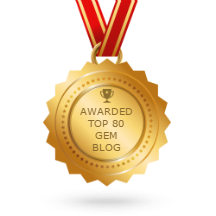 I conceptualized this blog to coincide with my jewelry and accessories e-boutique, so I could offer my clients complimentary inspiration and tips on jewelry care, jewelry trends, accessorizing and all things gem-fabulous. I’ve been a lover of all things bling, since I was a pre-teen. My personal style is a mix of classic and over-the-top. More often than not, you’ll see me with the largest, most sparkly pieces and then there are days where I tone it down tremendously. Essentially, I accessorize based on my mood. My career in the jewelry industry officially began in 2011, when I launched my fashion jewelry & accessories company, Madison Gems. However, at that time I retailed solely amongst friends and family. What’s more, I possess over 15 years of experience in client relations, a bachelor’s degree in International Business and an MBA in Hospitality Management. As a result, I decided to intermingle my expertise, education and passion so I could partake in merchandising full-time. Accordingly, my e-boutique www.madisongems.com unveiled in June 2014. To date, Madison Gems jewelry was showcased in a an art deco styled photo shoot that was featured in MODWedding. Additionally, I’m the co-founder of a wonderful foundation named We Feed N.Y.C., which is an undertaking that feeds and clothes New York City’s homeless. At present, you can currently find me attending fashion & accessory trade shows, fashion shows, seminars and empowerment symposiums in addition to, instructing a Fashion Jewelry & Accessories 101 workshop and jewelry e-Styling clients including but not limited to celebrities, models and pageant contestants. Please feel free to contact me to say hello or if you have any questions. P.S. Remember to always shine bright like a diamond in everything you do, as it’s the most beautiful and precious gem on earth.